#000511 - A hand written letter from J.R.R. 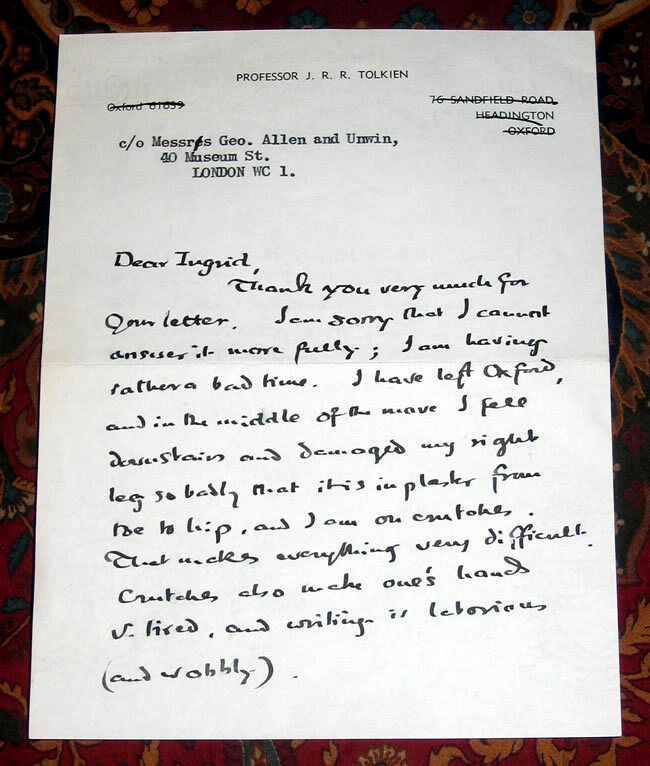 Tolkien, with hand addressed envelope, contains reference to Lord of the Rings - 1968 Letter to Miss Ingrid Pridgeon from Spire Hollin. 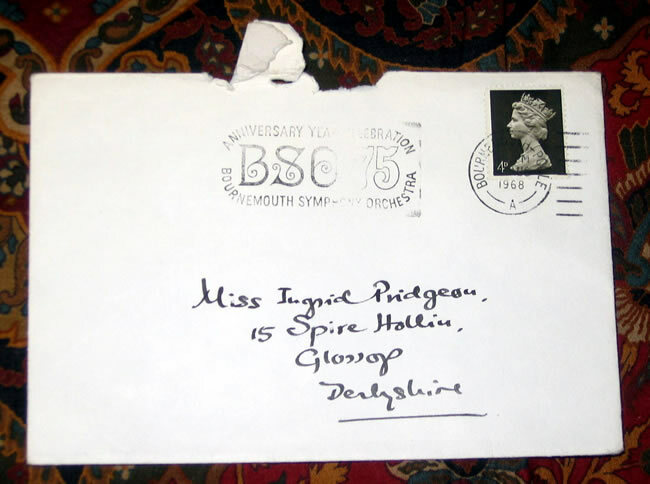 1968 Letter to Miss Ingrid Pridgeon from Spire Hollin. Autographed, 2 page (front & back) hand written letter and envelope to Ingrid Pridgeon, on his 'Professor J.R.R. 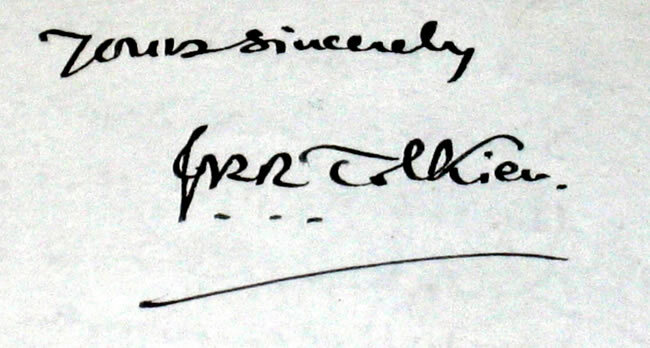 Tolkien' letterhead, with Sandfield Road, Headington, Oxford address crossed out and 'c/o Messers Geo. 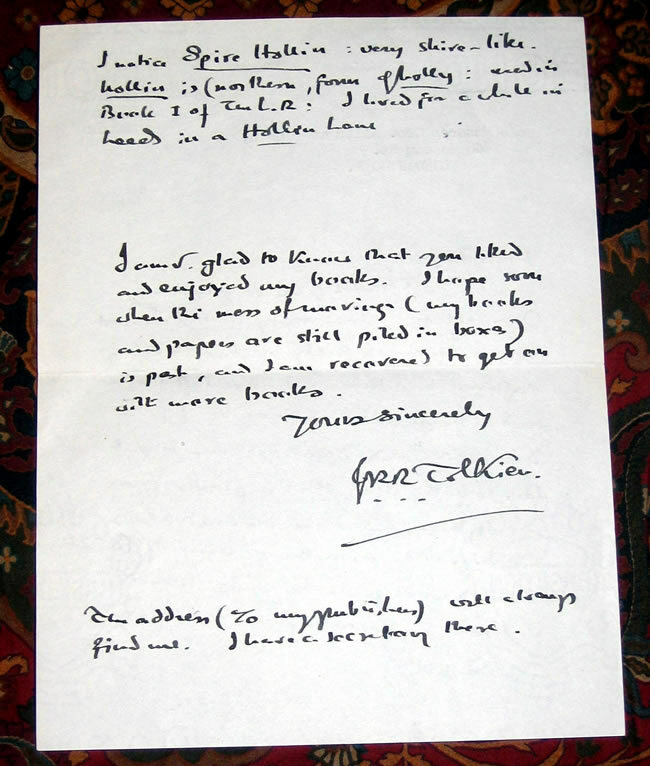 Allen and Unwin, 40 Museum St. Condon WC 1, typed in. Thank you very much for your letter. I am sorry that I cannot answer it more fully. I am having rather a bad time. I have left Oxford, and in the middle of a move I fell downstairs and damaged my right leg so badly that it is in plaster from toe to hip, and I am on crutches. That makes everythig very difficult. Crutches also make one's hands v. tired, and writing is laborious (and wobbly). I notice Spire Hollin : very shire-like. hollin is (northern, for of holly: used in Book I of L.R. : I lived for a while in Leeds in a Hollin Lane. I am v. glad to know that you liked and enjoyed my books. I hope soon, when the mess of moving (my books and papers are still piled in boxs) is past, and I am recovered to get on with more books. The address (to my publishers) will always find me. I have a secretary there."